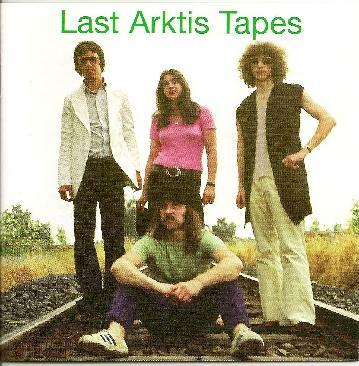 Arktis are a heavy rock four-piece, formed in Bonn, Germany in 1973. This is the third release of previously un-released material by the band, and it is thanks to Garden of Delights that we can now hear this material for the first time on CD. Their music is pure 70’s rock and it could be likened to bands such as Ten Years After, although Arktis are a far rougher version of this style of music than the likes of Ten Years After, and it should be noted that they seem more at home in the experimental field than they are with the more commercial acts of the time. More in the mindset of Kollective or Lilliental than they are with Free let’s say, but nonetheless we find that the driving nature of the music is firmly standing in the blues rock vein. The sound flows with an energy and a roughness that made The Pink Fairies famous, and it seems to recall moments of Canned Heat boogies and Spirit in the Sky type riffing, although not highly original for the time, it has to be said that there is definite passion involved, and if like me, I like to hear that in music, regardless whether I like it or not. So, if 70’s rock improvisations are your thing, then Arktis are a must, and I’m sure that you will not be disappointed.